We absolutely love the community that CloudShark and the CloudShark API has created. Adding to our list of integrators is Adrian Granados creator of the free Wifi tool for Mac called Airtool. Airtool is a free Mac OS X menu bar application that lets you check and configure wireless settings. It also performs captures across one or more Wi-Fi channels. In his version of Airtool 1.2, Adrian has been kind enough to add CloudShark as a target destination for captured packets. 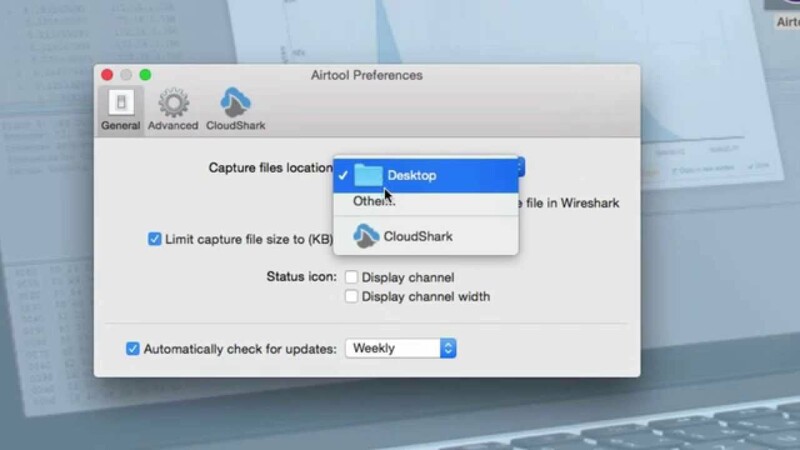 It’s all very simple: just add your CloudShark API token in Airtool’s preferences. Then select CloudShark from the “Capture files location” drop-down menu. Once you upload to CloudShark, you’ll get an alert - click on that alert and you’ll be taken directly to your capture! Clean, quick, and easy. Thanks Adrian!